Today is a solemn and revered day. The fact that we are able to gather at UNESCO Headquarters in remembrance of His Majesty King Bhumibol Adulyadej of Thailand is of extraordinary and historic significance. From what he did during his seventy years reign, we can clearly see that His Majesty King Bhumibol Adulyadej truly loved his people as if they were his own children. The Thai people often say, ‘We may not be the best country in the world, but we have the best King’. His Majesty King Bhumibol’s portraits are seen at the airport, in the street, in shops, and at cinemas in Bangkok. At the sight of the portraits, Thai people would join their palms, kneel down and bow as a sign of respect for His Majesty. 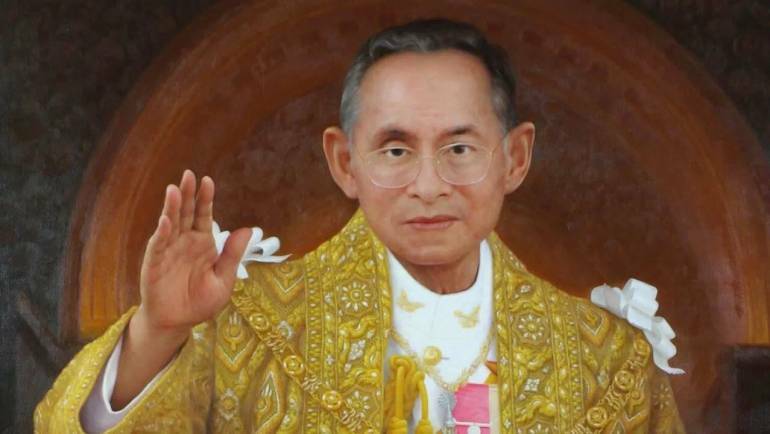 From his youth to older age, His Majesty King Bhumibol devoted his whole life to help Thailand as a country gaining prosperity and modernization. To express their love for His Majesty, the Thai people celebrate Father’s Day on 5 December each year, which was His Majesty’s birthday. On that day, the Thai people would stand solemnly and sing the Royal Anthem, A Salute to the Monarch (Sansoen Phra Barami ). Monks would also take the lead in reading Buddhist sutras and praying for His Majesty. This was a sagely king that had been portrayed by ancient Chinese, ‘People served and loved the king as their own parents. People looked up to the king as the sun and the moon that nurtured all. People respected the king as they would towards divinity. And people are in awe of the king as they would towards thunder.’ Such a sagely king is rarely found in history. Thailand has earned a reputation for being the ‘Granary of Southeast Asia’. Traditionally, nearly 70 per cent of the Thai population are engaged in farming. Thailand is the only net exporter of grain in Asia and is also an important exporter of grain in the world. Such a status could not have been achieved without His Majesty King Bhumibol’s immense efforts. Ever since his ascension to the throne, His Majesty King Bhumibol experienced and observed the hardships of his people. He travelled extensively across Thailand and used his own funds to build infrastructures for his people such as those for water conservation. His Majesty also initiated the Royal Development Projects. Sandy loam soils, hard soils and laterite soils are found extensively throughout Thailand and are not suitable for farming. Much farming land in Thailand also has a high salt content. To resolve such problems, His Majesty initiated research projects and devised a series of effective approaches of improving the quality of the soil to ensure the healthy growth of crops. As for the poor mountainous regions in Northern Thailand that had been used for growing opium poppies, His Majesty encouraged the local people to plant over 300 types of cash crops such as camellia oleifera, Hawaii macadamia nuts, tea plants and coffee instead. This approach has not only reduced the supply of narcotics in the world, but also promoted the stability and prosperity of the mountainous regions in Northern Thailand. His Majesty not only cared about agriculture development, but also for the health of his people. On the palace grounds, His Majesty had rice crops grown in test fields and established a milk factory that provides free milk for school children. His Majesty also invested in building the Thai Farmer National Museum as part of the activities. After an introductory talk about crop production to the children, the museum staff will take the children to the fields and teach them how to plant fruit trees. At the end of their visits, the children will have the opportunity to take young plants that they would like to grow back home. The children say, ‘We have learned so much in the museum! His Majesty is excellent!’ In Thailand, when people are ill and have to be hospitalised, they only need to pay thirty Thai Baht to cover all fees from going into a hospital to leaving the hospital. The funds used for supporting these national public welfare projects come from His Majesty’s annual income. To honour the outstanding contribution that His Majesty King Bhumibol had made in tirelessly promoting rural development and helping improve the living standard of people across Thailand, the then UN Secretary-General Annan awarded His Majesty the first UNDP Human Development Lifetime Achievement Award. As Mr Annan said, ‘After all, if human development is about putting people first, there can be no better advocate for it than His Majesty’. ‘It is about empowering them through education, through opportunity, through health care and nutrition’. ‘The United Nations prioritizes such development at the very centre of its agenda’. His Majesty King Bhumibol loved his people as his own children. This embodied the spirit of Buddhist compassion to alleviate the suffering of all beings. It also fully demonstrated the benevolence and universal love of all faiths. Earlier this year, Bloomberg News released its 2017 Misery Index which comprises 65 countries. Thailand’s unemployment rate is only one per cent and is therefore once again ranked the world’s happiest nation. This is the third time in a row that Thailand has won the title. Such a happy outcome is the result of His Majesty King Bhumibol ‘loving his people as his own children’. Today, we are here to honour the memory of His Majesty King Bhumibol and remember his spirit of ‘loving the people as his own children’. Let us take this opportunity to think more deeply about the sustainable development of humankind and to devise practical strategies towards that goal. We hope not only that Thailand remains ‘the happiest nation in the world’, but also that every other nation will join them in becoming happiest of states. Let us work together to recreate heaven on the Earth and build a harmonious world.